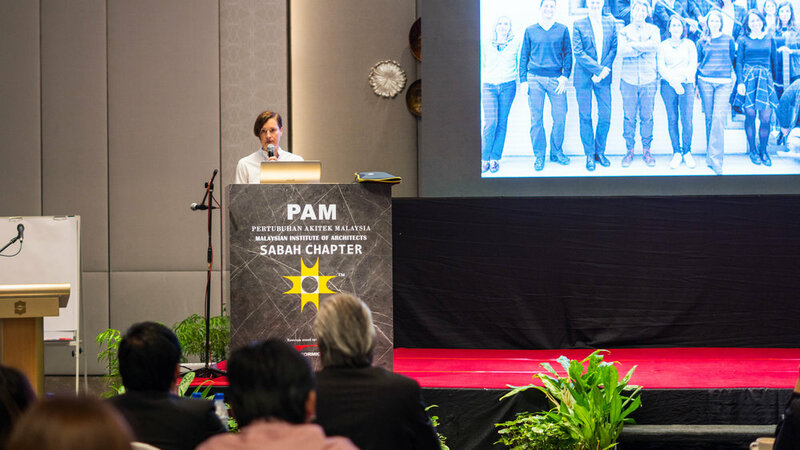 On behalf of the Malaysian Institute of Architects Sabah Chapter, Sibylla Hartel visited Kota Kinabalu, Borneo, to attend the International Architecture Conference, an annual celebration of architectural events that is a platform for discourse and to showcase exemplary works of architecture from around the world. Part of the Borneo Architecture Festival, participants included architects, the public, developers, building industry professional, government sectors, students, and visitors from neighbouring states and countries. The IAC seeks to present internationally renowned architects as its keynote speakers, and this year's theme was “Elements" to encourage a renewed sense of creativity and appreciation in the way we use materials. Speakers were encouraged to discuss projects, design details/ processes, construction methods that 'celebrate an innovative use of Regional materials'. Examples could include bamboo, stone, water, concrete, timber, natural materials etc.